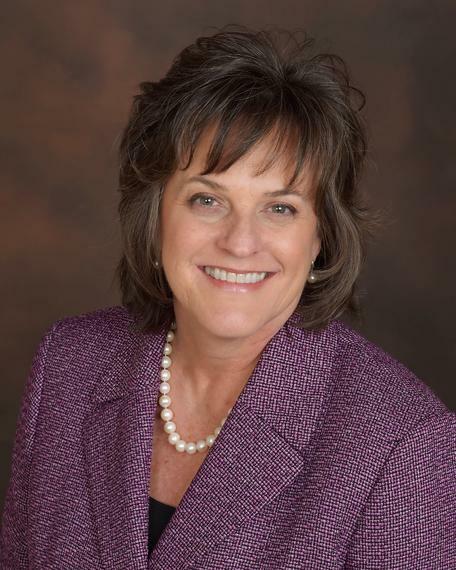 Susan Elrod began as the Provost and Executive Vice Chancellor for Academic Affairs at the University of Wisconsin - Whitewater on April 15, 2016. Prior to this appointment, she served as Interim Provost and Vice President for Academic Affairs at California State University, Chico (Chico State) from October 2014 - March 2016. At Chico State, she implemented programs to improve faculty diversity and salary equity, revitalized support for research, launched new data dashboard and E-portfolio projects, and assisted the campus in preparing for a presidential transition. Prior to this position, she served as Dean of the College of Science and Mathematics at California State University, Fresno (Fresno State), where she led initiatives aimed at enhancing support for research, building community and industry connections, and improving persistence of students in STEM programs. She was principal investigator of a $1.5 million National Science Foundation grant to redesign introductory science and mathematics courses through formation of faculty learning communities. She also created a new advising center in the College of Science and Mathematics in partnership with Student Affairs. Prior to her work at Fresno State, Elrod served as Executive Director of Project Kaleidoscope (PKAL) at the Association of American Colleges & Universities (AAC&U) in Washington, DC. During her tenure at PKAL, she led several multi-campus, national STEM education initiatives that focused on interdisciplinary learning, sustainability, and STEM student transfer success. She also expanded PKAL's national program of regional faculty networks and led PKAL's Summer Leadership Institute for emerging faculty leaders in the STEM disciplines. She continues to serve as a Senior Scholar at AAC&U. Recent publications of interest are: Increasing Student Success in STEM, Navigating Institutional Change for Student Success in STEM, Quantitative Reasoning: The Next "Across the Curriculum" Movement, and Developing Leadership in STEM Fields. Elrod continues her work as a national leader in projects that focus on institutional systemic change in undergraduate STEM education and as a consultant to campuses and state systems on improving STEM student learning and success. She is co-principal investigator for the new Accelerating Systemic Change Network that is bringing together change agents and researchers focused on understanding, enacting, and disseminating knowledge about how to promote institutional change in undergraduate STEM education and is co-principal investigator for the Faculty Development Network in Undergraduate Biology Education, a National Science Foundation-funded Research Coordination Network focused on enhancing faculty development efforts. She will serve as chair of the Gordon Research Conference on Undergraduate Biology Education in July 2017. As a member of a National Research Council consensus study committee, she is contributing her expertise to the formation of a national framework and indicators for undergraduate STEM education based on the federal five-year strategic plan for STEM. She is also a consultant to the WASC Senior College and University Commission (WSCUC) where she offers professional development programs regarding quantitative reasoning as a core student learning competency. She has also served as a WSCUC evaluation team member. Elrod was a postdoctoral fellow at Novozymes, Inc. in Davis, CA and holds a Ph.D. in Genetics from the University of California, Davis and a B.S. in Biological Science from California State University, Chico.